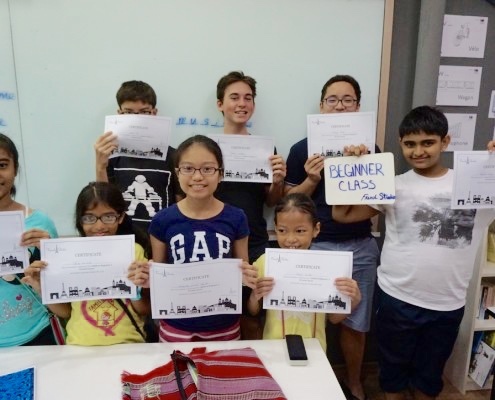 Learning French becomes Easy at French Studio! 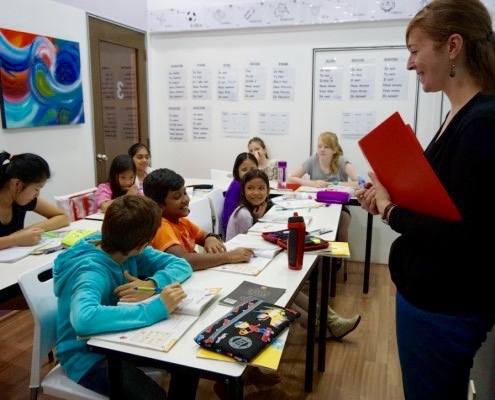 If your child is in a local school in Singapore, they will be required to learn Chinese as part of the Ministry of Education’s Mother Tongue Language Policy. 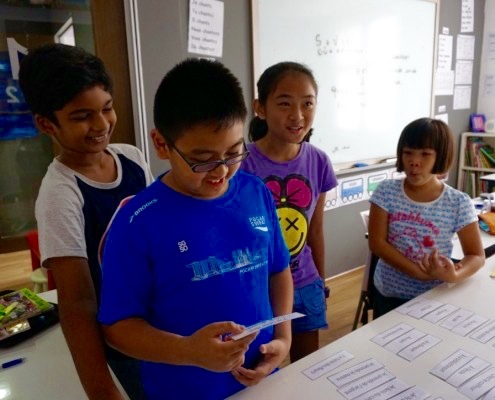 This can be a big challenge if their native language is not Chinese, or if they have spent time living abroad and not maintained their language studies. 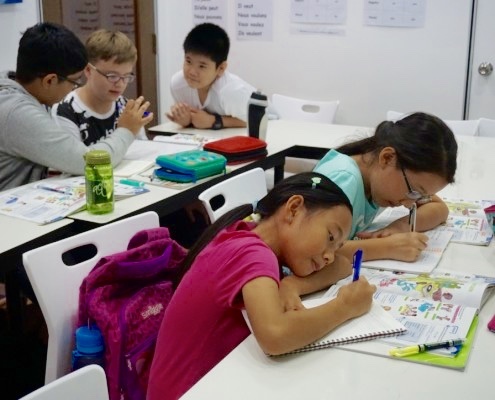 Achieving a low grade in Chinese at school can negatively impact your child’s Primary School Leaving Examinations (PSLE) score, which in turn may limit their choice of secondary school. However fortunately French Studio has the solution! Since 2011 we have offered French in lieu of Mother Tongue classes for both Primary and Secondary school students. The program we follow has been approved by the Ministry of Education (MOE) and we are MOE registered. 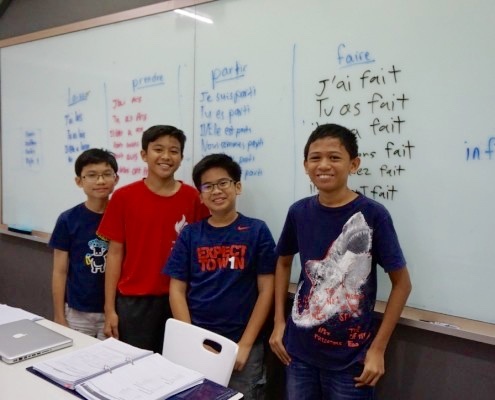 The process to apply for the exemption that will allow your child to study French in lieu of Mother Tongue, is more straightforward than you would think – and once approved not only will your child not have to sit a language exam for the PSLE, but they will also continue to be exempt from studying one of the official mother tongue languages throughout both Secondary School and Junior College. For more information and to read a step by step guide on how to apply to the Ministry of Education for an exemption, click here. 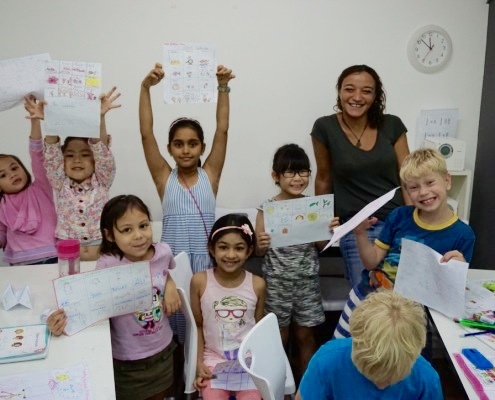 Our group classes are also ideal if your child simply wants to learn French for fun, discover more about the language and culture, or build upon their existing skills. We’ve developed our programs so they are interactive and full of creative activities, such as games, crafts, songs and role plays, so we guarantee your child will have fun while they learn. Upon completion of each course, your child will receive an official certificate to take home with them! 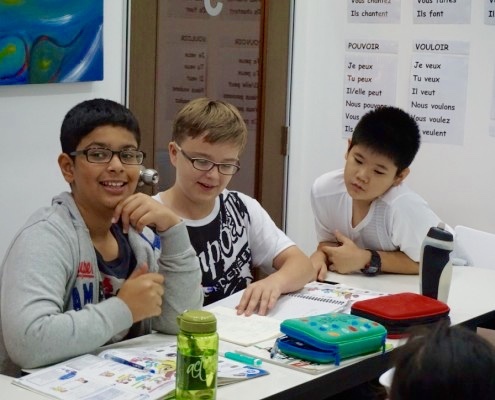 In our child group classes we focus initially on developing their conversation and listening skills, before introducing them to reading and writing in French. Click here to see our schedule of classes. Homework and Exams become a Piece of Cake with Us! If your child needs help with their homework, or to prepare for a French exam, then we are happy to help! 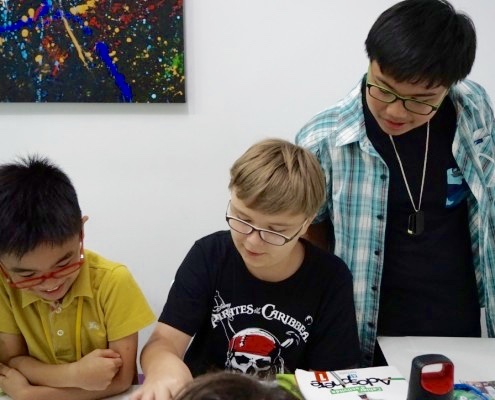 We provide private tuition on a one to one basis, or in small groups and will develop a personalised program based on your child’s needs and goals. My daughter wanted to start learning French so we signed her up to try a French lesson at French Studio last year. Since then she has continued to go every week - she loves it! 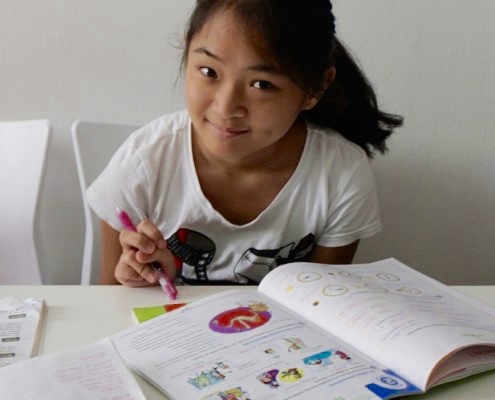 She is now able to have conversations in French and is developing her reading and writing skills - we are all delighted with her progress. My son started to learn French in Primary 4. He was new to the subject but his tutor explained the language well and made his lessons interesting and fun from the beginning. Within the first month he had started to grasp the basics well and was even starting to read in French! 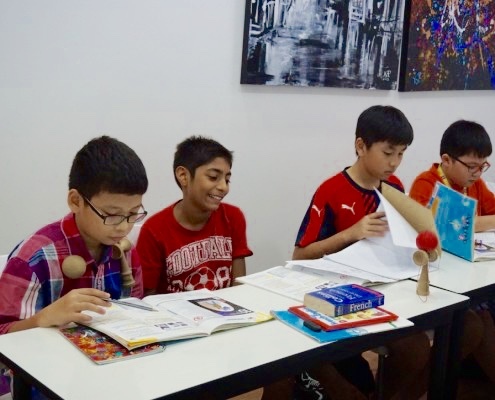 His teacher has helped him progress very fast and he looks forward to his class every week. I’m very proud! Both my sons love to go to their French class every Saturday morning. 6 months ago they had no French knowledge at all. 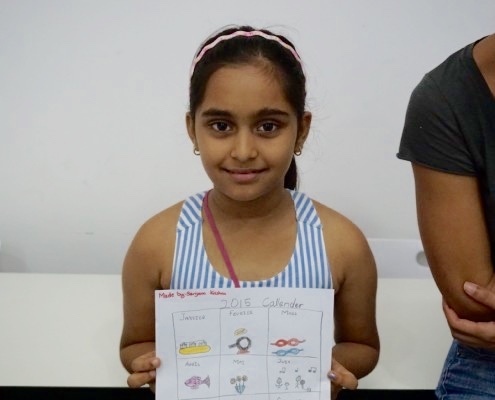 Now they are able to have a basic conversation (introduce themselves, say what they like and don’t like…) and are learning how to read and write. The teacher is very friendly and attentive.